Educational Qualification : Degree in relevant Engineering Discipline OR Diploma in relevant Engineering Discipline 10th Pass OR ITI in relevant Trades from a recognized University/Institute. PDIL Selection Process : Selection will be based on Interview. 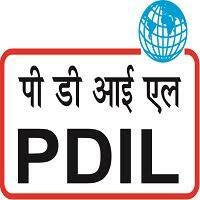 How to Apply PDIL Vacancy : Interested candidates may apply Online through the website http://www.pdilin.com from 12.01.2018 to 28.01.2018.